We are constantly in search of natural products. There has been a lot of hype about soap nuts and we had to test them out. We have seen rave review on utube about these natural nuts as shampoos, bodywash and laundry detergent replacement. Our verdict, they are too harsh to be used on our skin and hair. The soap nut produces natural saponins which are bubbles that cleans. 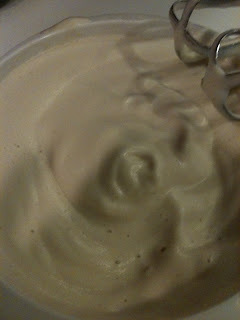 It took alot of nuts for us to get this froth, so we don't feel it will work in cleaning soiled laundry. If anyone has had any success with the soap nuts please write it to us. We would love to learn from you, how you use your soap nuts. We use them exclusively for our laundry, and though they don't get out really really tough stains, they get everything clean, including our son's cloth diapers. They don't need tons of suds to clean, just like high efficiency detergents, lots of bubbles don't necessarily mean the detergent is getting things cleaner. Usually it means there is more residue left behind. I really like soap nuts because they don't leave that residue, and because they are naturally antibacterial. I haven't had any success with using them for shampoo. I tried a couple times, but I guess I'm too used to lots of suds to work through my long thick hair. 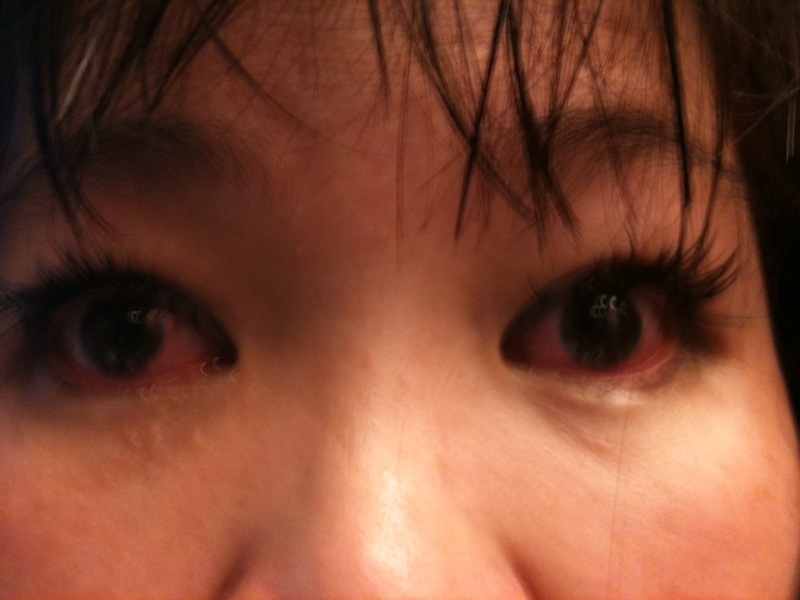 I didn't get any in my eyes, but I would imagine it would sting as it is pure surfactant, and eyes are mostly water. Ouch. Thank you Marc and Katie for sharing. We will definitely try them out for our laundry with your suggestion. It is the raining season in Singapore and we wanted to wait for a good sunny day to truly see how these soap nuts work with our clothes. While we might not use these nuts for our hair and skin, we would certainly recommend it for our laundry. We are still trying them out. The towels came out odourless but has a nice soft feel to them. No softener was used. We are moving to bed sheets and bedspreads. I have very sensitive skin, so if my skin turns red it is a good indication that I am reacting to the soap. I don't itch but my son does and his skin is even more sensitive! Looking forward to good news. Found a few other soapnuts from Borneo, a larger version and is suppose to be used as a shampoo and will be trying its potential as a shampoo, soon. 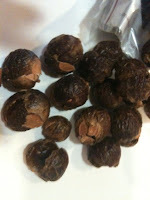 Indonesia also have their soapnuts and they use it for itchy skin, can't wait to get my hands on those.